A different kind of country song from Joey + Rory. I’m a huge Joey + Rory fan. They have had only one top 30 hit in their short career, but they seem to have a wider fanbase than just those that listen to country radio. 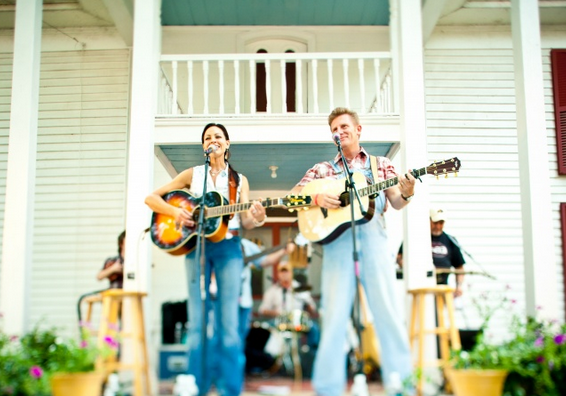 Joey + Rory are truly one of the unique acts in country music today. If you’re not paying attention to what they’re doing you’re missing out on something special. Check out this new single from the duo and get ready to smile and feel good about where country music is today. My first thought when I read the title of the song was that this song would be about Rory’s husband Joey. It turns out that isn’t the focus of the song. In fact it turns out the song is pretty interesting in terms of a country song. The track is the story of an American Civil War soldier that was fighting for the South. It’s certainly an interesting story and setting for a country song. The man in the song is writing letters to his wife. She’s the one the track is named after. The man in the song is fighting for what he believes in and he’s really struggling with the things he’s done to this point. He misses his wife and family. He misses being normal and wants to get back to the way things were before he had to fight. It’s kind of a sad song because you really don’t know how the song ends. There is a feeling of what eventually happens to the solider, though, and it’s nothing you’d wish on anyone. The song is really interesting. The melody is great. What adds another interesting dynamic to the song is the fact that Rory is the lead singer throughout the track. Joey provides the backing vocals on this one. In the past it’s been the other way around for this duo on the songs they’ve released to country radio as singles. I just love this song and I’m hoping it becomes another hit for Joey + Rory. Country music needs more acts like them.